Matilda G. Thompson. Aunt Judy's Story: A Tale From Real Life. Written for the Pennsylvania Anti-Slavery Fair. Aunt Judy's Story: A Tale From Real Life. 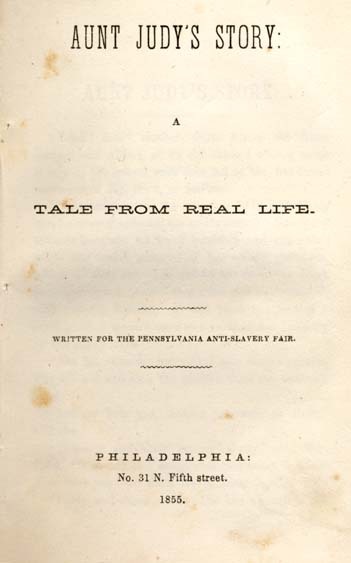 Written for the Pennsylvania Anti-Slavery Fair. Philadelphia: Merrihew & Thompson, Printers, 1855.